Wendy Bernard’s groundbreaking reference title Up, Down, All-Around Stitch Dictionary was the first of its kind to provide stitch patterns written for top-down, bottom-up, back-and-forth, and in-the-round constructions—and readers took notice. Now Bernard is back with The Knitting All Around Stitch Dictionary, which picks up where the first volume left off, adding hundreds of new stitch patterns organized similarly by type—knit and purl, textured stitches, ribs, lace, and cables—plus a chapter on mosaic knitting. 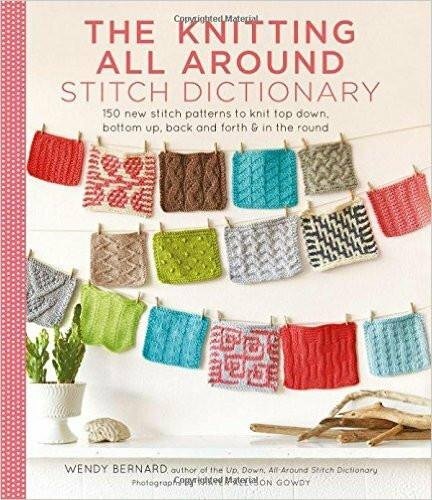 Each chapter of The Knitting All Around Stitch Dictionary includes a customizable pattern so that knitters can easily swap out stitch patterns to make their own unique knitted items.